Japan Gardeners’ Network Association(JGN) offers lectures and day tours for Plants lovers and Foodies. Welcome to our delicious Market tour. Ota Market is the wholesale market for the professionals. 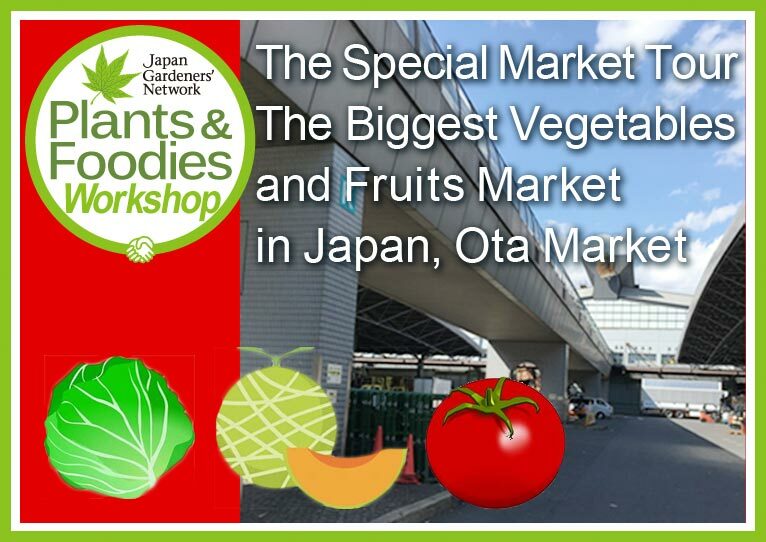 Join this tour to visit vegetables and fruits auction under the big wholesale company member of Tokyo Seika Co., Ltd. The company member of Tokyo Seika Co., Ltd.